I love fresh watermelon juice in the sweltering heat. 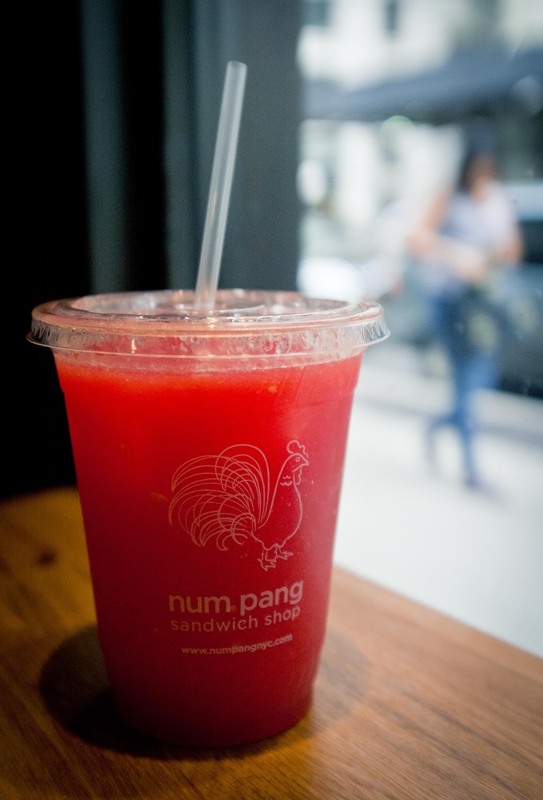 What’s better than an icy cup of the sweet juice with watermelon pulp? Not having to lug home a watermelon, cut up the fruit and clean up in order to make it myself. That’s where Num Pang comes to the rescue although a cup is never enough.